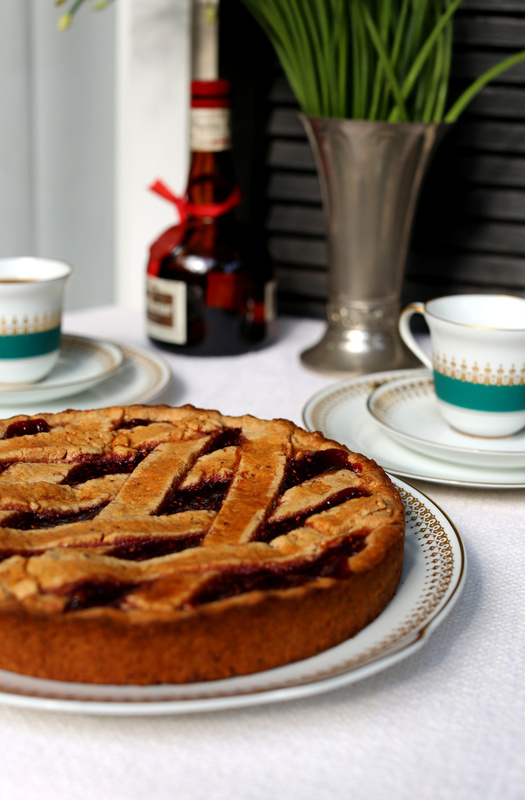 My mom makes this torte every year around the holidays. 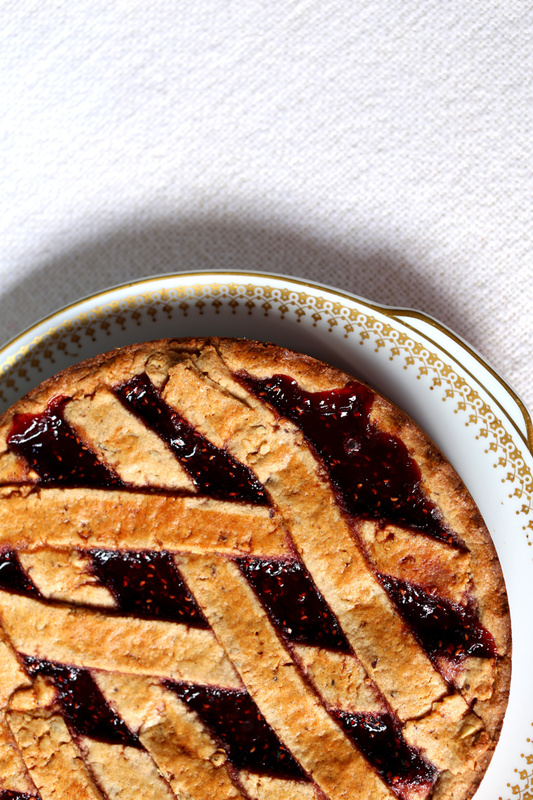 Her friends all request it: ‘I don’t want any gifts – just bake that jam tart for me’. If only they knew how easy it is to make. Don’t let the lattice top stress you out, embrace its rustic beauty and remember: perfect is boring. 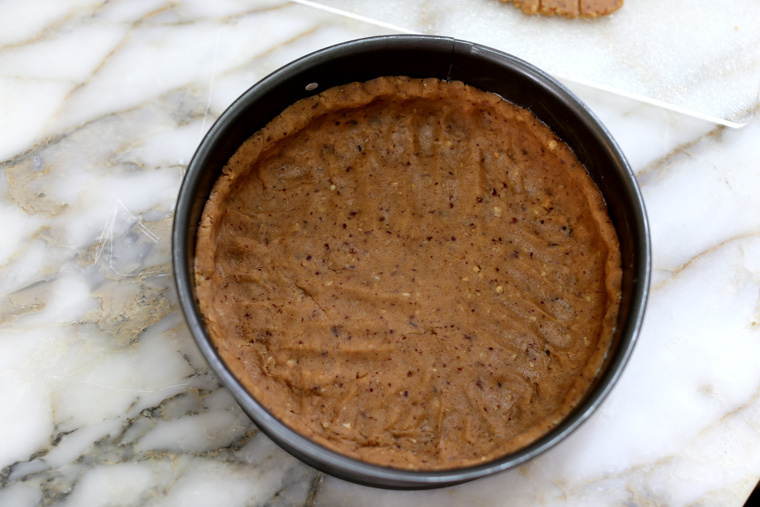 This tart has a buttery hazelnut cookie crust – not too sweet and subtly spiced with cinnamon. The jam filling with lemon juice has that tart and sweet thing going on. It’s delicious and just gets better with time. Hope your holidays are filled with friends, family and good food! 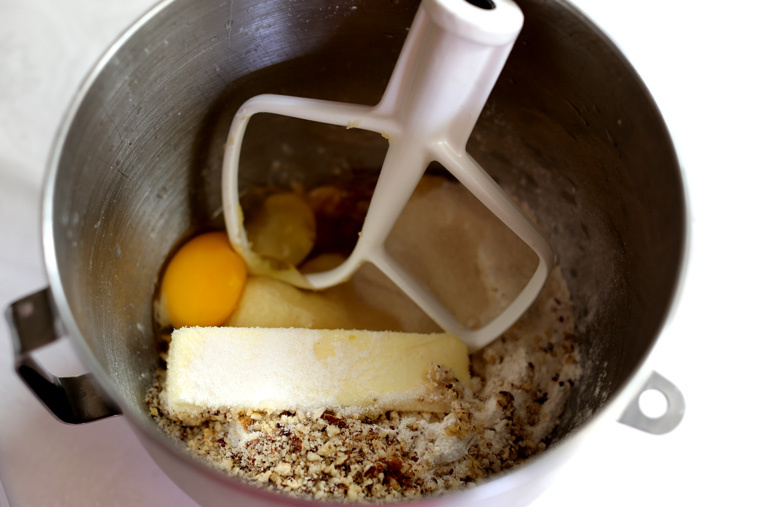 Combine ingredients for the crust in your stand mixer. 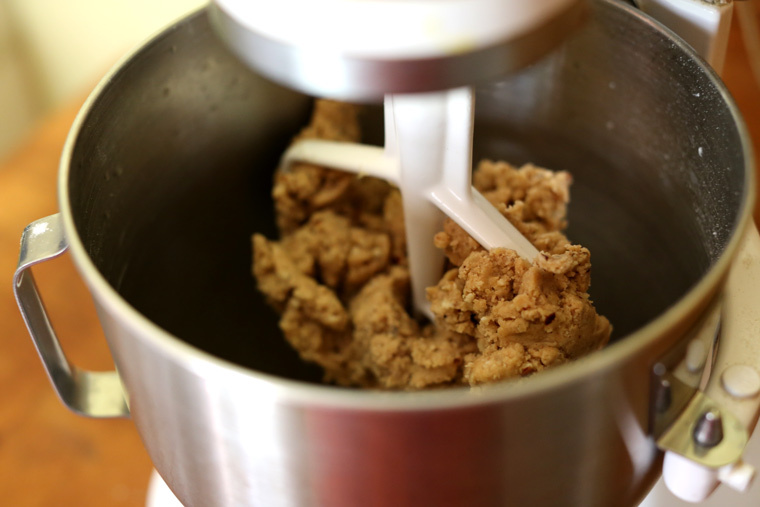 Mix until dough ball forms. 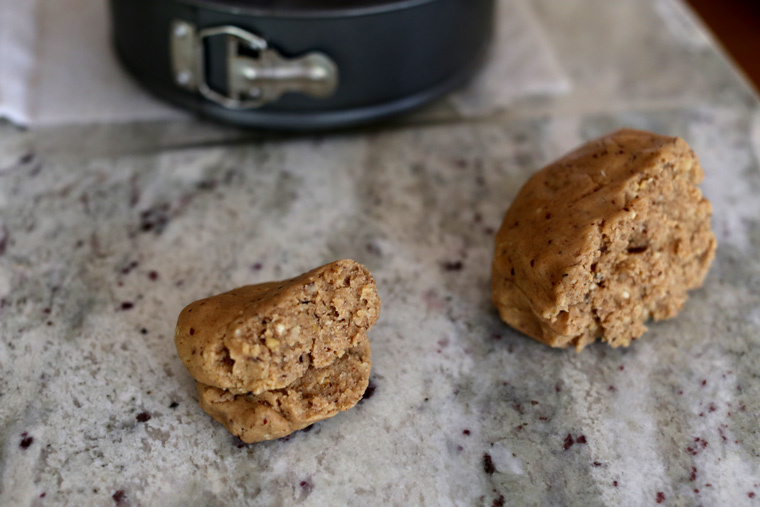 When the dough sticks together to form a ball – it’s ready! Divide the dough: One third of the dough will be reserved for the top. Two thirds of the dough will be for the bottom and edges. Roll out bottom dough onto floured board. Butter a 12 inch springform pan. Flip dough into pan. Work crust up the sides. Mix jam with juice of half a lemon and pour mixture into crust. Roll out dough for lattice on floured surface. Cut into half inch wide pieces the length of the springform pan. 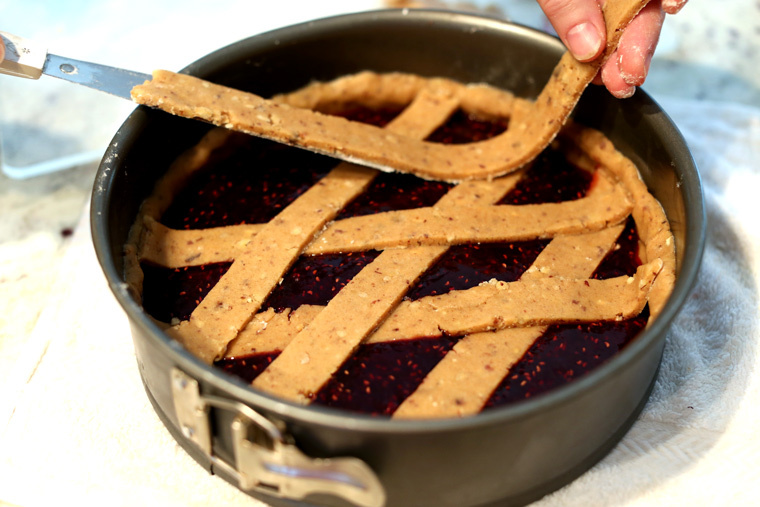 Using a knife, gently place the dough strips on a diagonal – alternating direction each time to form the lattice. After lattice is finished brush crust with egg wash for a shiny look. Preheat oven to 375 F and bake for 40 minutes on center rack. 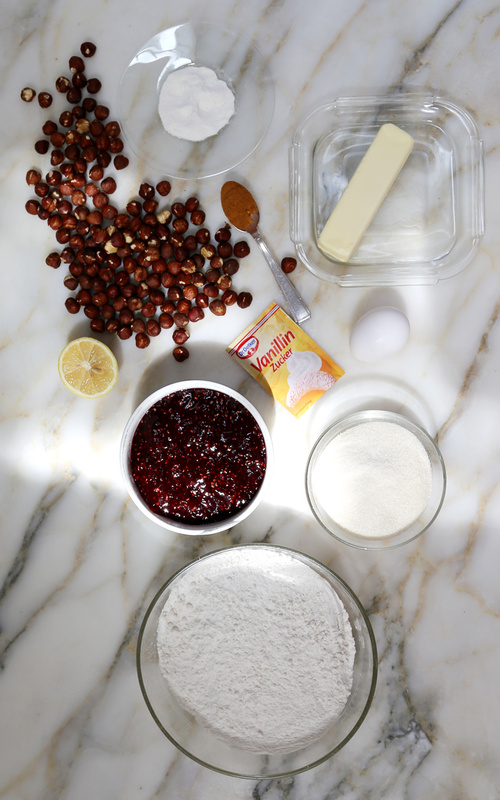 Combine ingredients for dough in stand mixer. Process until dough ball forms. 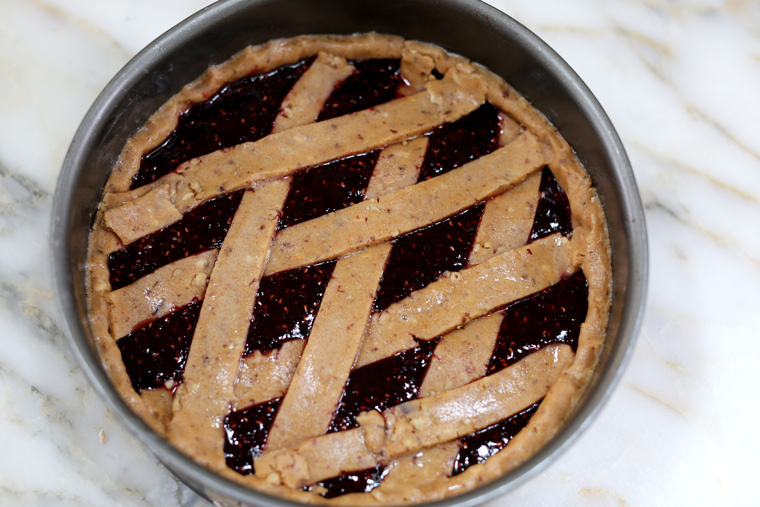 Divide the dough into two balls – two thirds will make the base and sides, one third will make the lattice. Roll out two thirds of the dough on floured surface until you achieve a circle the size of your 12 inch springform pan. Butter the springform pan. Flip the board with the dough over and into the pan. 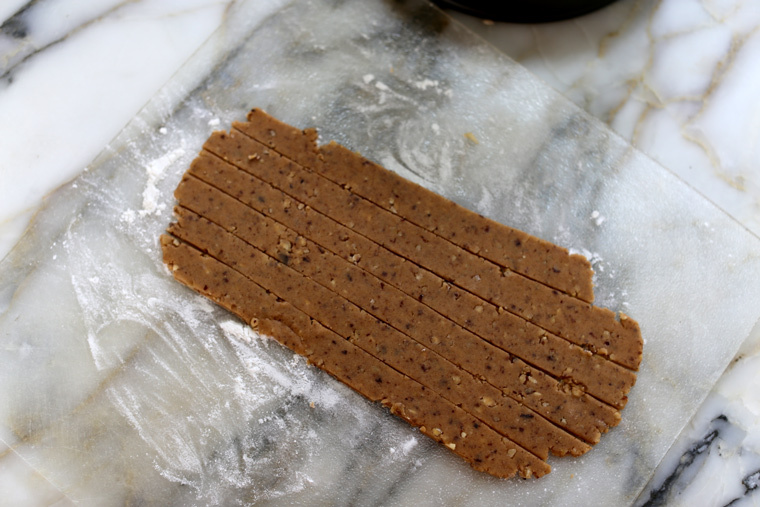 Using your fingers, work dough evenly and pull up a one inch edge. In a bowl mix a jar of raspberry jam with the juice of half a lemon. Pour mixture into dough base. Roll out the dough for the lattice on a floured surface. Cut into half inch wide strips. 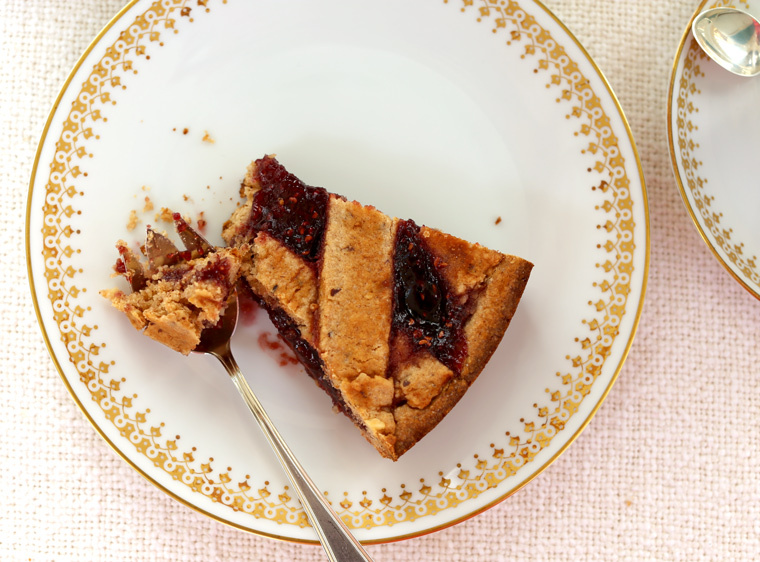 Using a knife as a guide, place the strips on top of the tart. Alternate sides to form a crisscross pattern. Brush lattice with egg wash for a shiny look. Bake on center rack in preheated oven at 375 F for 40 minutes. Let tart cool for 15 minutes before removing from springform pan. Room temperature butter should bring the dough together nicely. If you use cold butter you will need to add 2 tablespoons of butter. 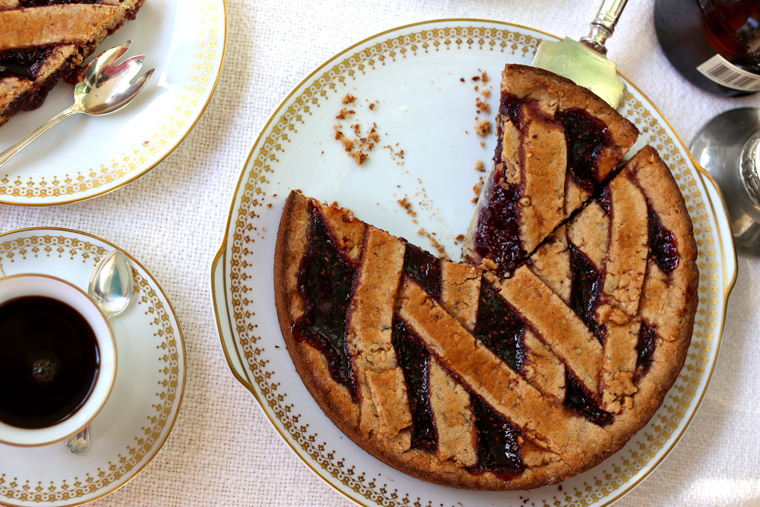 woah, like a linzer cookie dream that never ends. now my seasonal lack of linzer cookies seems even more painful. I think I’ll have to make this. Yes to never ending cookie dreams! I like you Renee! I like you too! I added your blog to my feedly Now I can keep up w your posts!